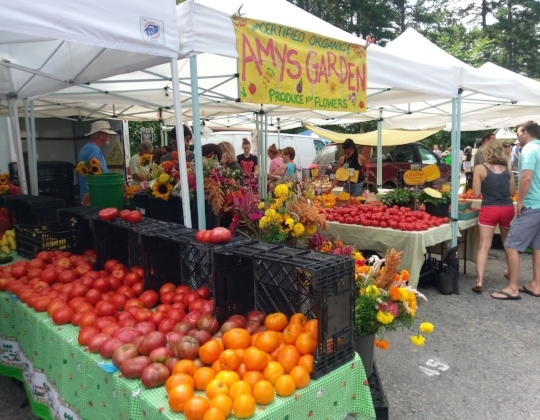 I love farmers markets, and because it’s National Farmers Market Week, I want to share with you why they are the perfect places to eat and play local. A farmers market is one of the first things I look for when we move to a new location, and we almost always visit one when we go on a trip. Warning -- don’t read this while you’re hungry, because I’m currently writing it hungry and it is tough to not eat everything in sight. Farmers Markets are a foodie’s delight. You can taste test that weird vegetable before you purchase so you don’t have buyer’s remorse. Also, the vendor knows exactly how to best prepare the food item if you’ve never eaten it before. I regularly ask the fish monger at my farmers market how to cook red snapper, sea bass, and other seafood I've never cooked. 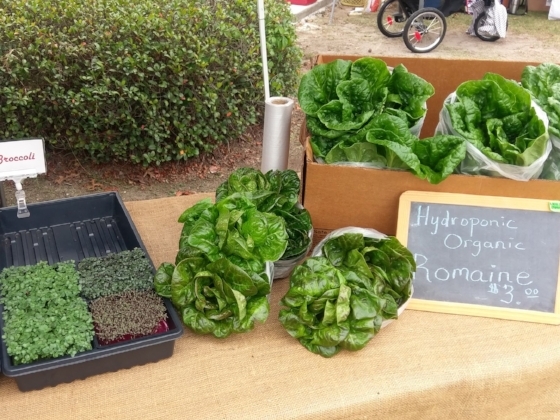 If you are lucky and your market has a hydroponic farmer, ask them to grow some arugula. It is much milder than the arugula you buy in the store, and much crunchier. I have only lived near one market with a hydroponic farmer and I already dread the day when I won’t be able to purchase from them anymore. Sight is a big part of taste and the market will not disappoint. The different colors of produce next to each other is like an artist’s pallet. If your market has a baker, the varying golds of freshly baked breads is another sight to behold, not to mention the smell will knock your socks off! Ask bakers about their bread and you can hear the passion for their product in their voices. Also, in case I haven’t mentioned it already -- samples. Generally, I’ve found that non-vegetable vendors are the most generous with samples. Bite-sized pieces of bread to spread with homemade jam, sausages or meats, cheeses and beverages are popular, but don’t be afraid to ask to try something else that they offer. If they don’t allow samples, ask them what the item tastes like. Attending a market can make your military hometown feel more like your home. It is where people come together for the simple pleasure of enjoying fresh air, browsing fresh food, and getting to know the people who make up the fabric of their community. Other visits are more social. I'll grab a coffee and talk to almost every vendor. I'll chat with the lady who picked up an item and ask her favorite way to prepare it. Or I’ll visit with the beekeeper and talk about the benefits of local honey and pollen on seasonal allergies. In less than a month after moving to our current military hometown, my husband and I were known by all of our regular vendors and it helped us feel like we belonged. What if I live OCONUS? Striking up a conversation might be difficult if you live overseas, depending on where you are. However, I still encourage you to visit a market and use the universal language of pointing and making faces to communicate. Some of our favorite memories in South Korea were wandering the markets every week or visiting a new market in another city. I knew South Korea was going to be a good duty station when the vendors would smile and nod at us and started giving us extra food when we would buy from them. If you have not visited a market near your military hometown, I want to invite you to do that and let us know what you think! Tag @independentorg and use #IDthrive on Instagram to show us your farmers market adventures and finds. Evie is a military spouse currently living in North Carolina. She met her husband in college after telling her girlfriends she would never date a soldier, but now she wouldn’t have it any other way. Evie is the Executive Director of InDependent, works full-time as a government contractor, and part-time with Wise Advise + Assist Team as a Project Manager. In her free time, you can find her trying out a new recipe, traveling, or trying to squeeze in an acting gig between her busy schedule. She is passionate about wellness and loves finding new ways to easily incorporate healthier choices into her life.